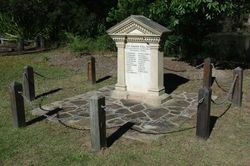 The honour roll of freestone and marble bearing the names of 21 employees and sons of employees of the National Park was unveiled on the 21st June 1919 by Mr G. Beeby, Minister for Labour. Of the 21 men who had been accepted for active service 20 had returned. 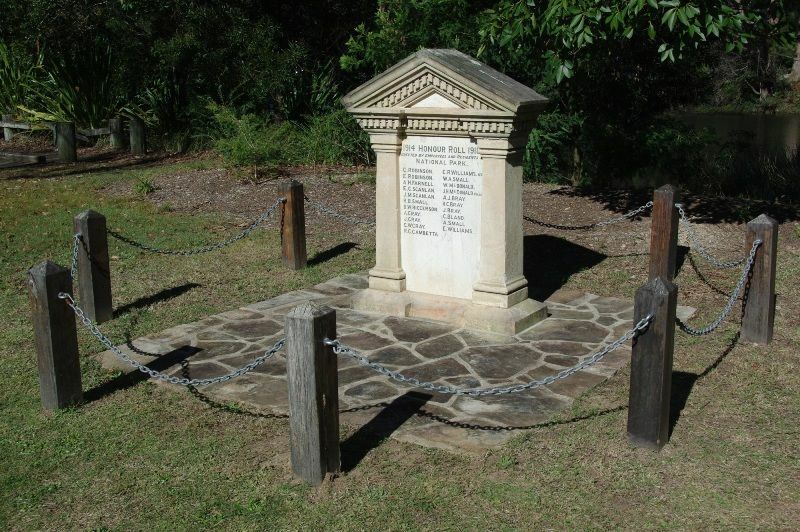 In 2009 the honour roll was relocated to its present position and rededicated in 2012 after restoration work. 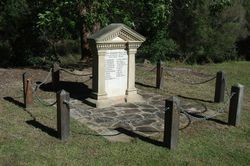 This memorial was recently refurbished as part of the ANZAC Centenary being reset with the addition of fencing and a new paving base area that now covers the manufacturers inscription. Down in the sheltered valley of Audley last Saturday, in the National Park, when the afternoon sunshine made things very pleasant for an outing the local honor roll, erected to the memory of the National Park lads who had gone to the front, was unveiled by Mr. Beeby (Minister for Labour and Industry), who has only recently returned from a tour abroad. There are the names of 21 men on the marble tablet, one of whom sleeps on Gallipoli, while others have suffered wounds in the great cause. The rest of the monument is a fine solid piece of work, and stands just in front of '"The Rest." St George Call (Kogarah, NSW), 28 June 1919.